I’ve had so much fun with this recipe. I think it may be my favourite raw recipe so far. Definitely up there with the Cashew Crunchies and the Raw Banana Cookies. The mixture is so fragrant and in these days leading up to Christmas it is really putting me in the mood for the festive season. I’ll be making them again during Autumn for sure – there is something warm and spicy about these little yummies that suits Samhain too. I’ve been making these each week and nibbling on them throughout the day. It is quite rich and filling, even as a tiny gingerbread, and fortunately for me it appears to appeal to a more ‘adult’ palate as only my ginger-loving son is regularly asking for them. So between him and I we share the stash of gingerbread, guilt-free. 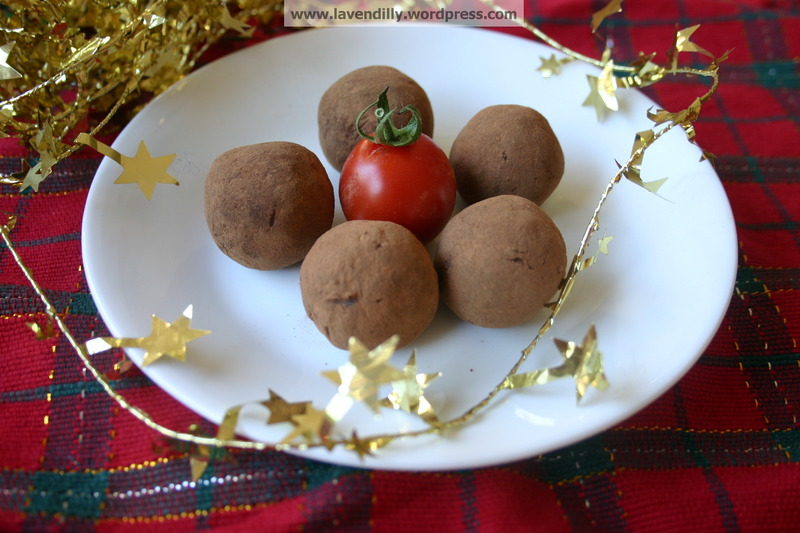 These can be made into cookies and then dehydrated, or they can be rolled into balls and kept in the fridge to eat raw. I’ve tried cooking them in the oven but the texture just isn’t the same, and they burn very easily unless you have it on the very lowest setting and are prepared to wait for hours – in which case it is better to use the dehydrator overnight, and get on with your life while they do their thing. Much more appealing than heating up the kitchen for hours in summer! I like to activate nuts before I eat them – this involves soaking them overnight, then drying them in the dehydrator. It isn’t necessary but activated nuts are easier to digest and you can access more nutrients from them. 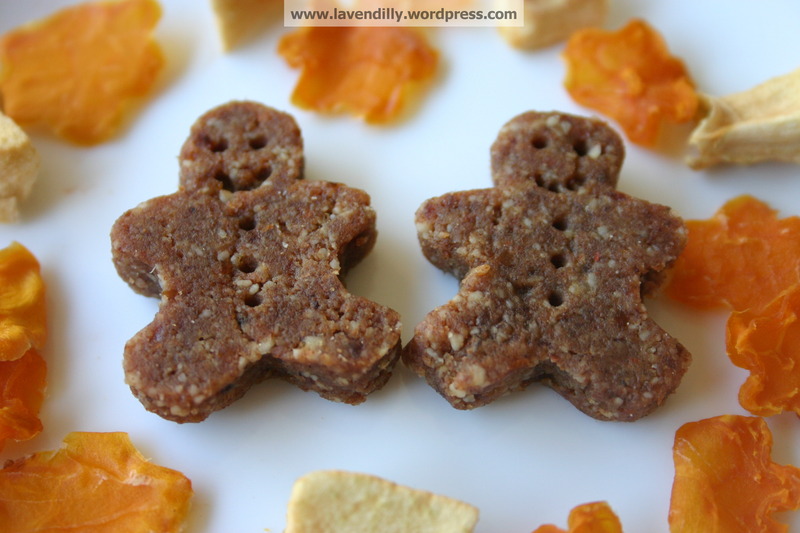 To make the Raw Gingerbread Cookies, blend the nuts together. Add other ingredients and blend again! Blend until the ingredients are finely chopped and stick together, then take small amounts at a time, pat flat to about .5cm thickness on a baking sheet(to stop them getting sticky) and cut out shapes. I found a wet cutter got less sticky. Details can be added with a skewer or you might like to press small pieces of dried fruit on top to decorate. Lay flat on a dehydrator sheet and dehydrate on highest setting until they feel firm to touch on top, turn and continue dehydrating until the other side is no longer soft. The cookies should be evenly dried throughout. To make the Raw Gingerbread Fudge then soak the nuts overnight or at least for a few hours and blend them after they are drained. Mine became fudgy when I left them in the blender a little too long and they began to turn into nut butter. DON’T blend until you get nut butter (although that WOULD be yummy too!) but just until the oils are released and the mixture is softer. Add other ingredients and blend again and until well mixed. 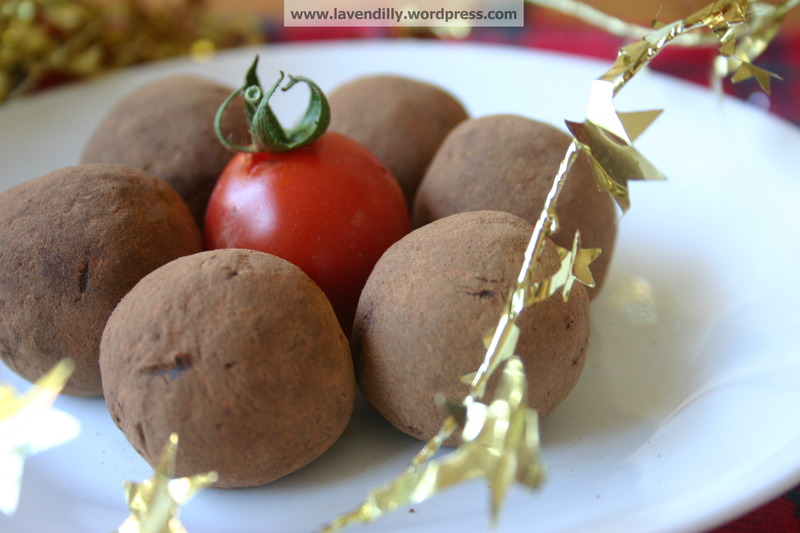 With wet hands roll mixture into balls and roll them again in raw cacao powder that you’ve added some of the spices from the recipe into. Keep in freezer until an hour before you are ready to eat them … although I have found that even keeping them in the freezer doesn’t really make them last longer because I eat them straight from there too ….